You can help things on the way by applying thin coats of boiled linseed oil, using 0000 wire wool to rub it into the helve (not forgetting the eye) and taking the time to sharpen your axe when needed. We often go further than this by removing the factory coatings and applying our own “gunstock” finish. As attendees of the Camp Craft course will attest, this is a very satisfying process but takes time and a little dedication. The results though, are worth it. When you remove your axe from the box, take some time to read the book that accompanies it and drink in the history of its makers’ art. 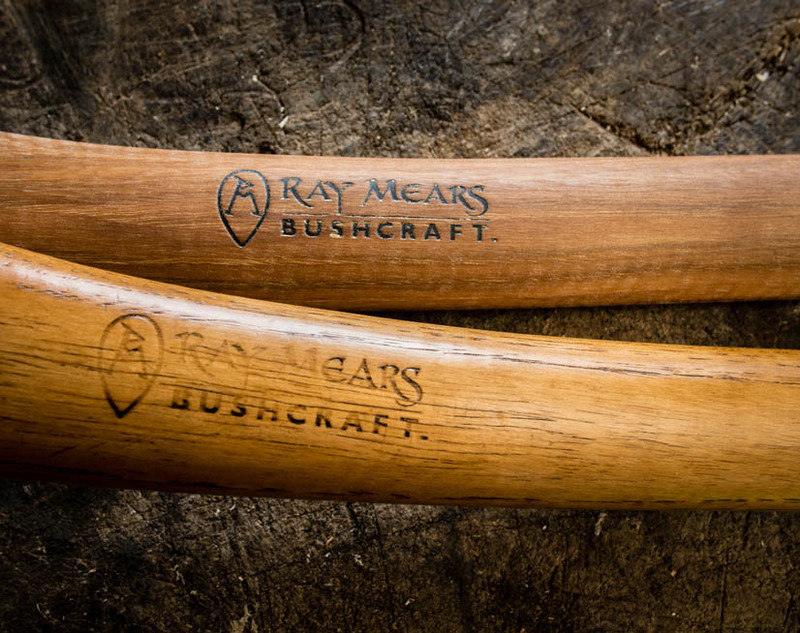 Then use it and give it the care that a good woodsman always lavishes on their tools. By doing this, you will you learn the ins and outs of your axe and notice the small nicks and scratches that occur as a matter of course. You will be able to address and maintain these issues as they arise and soon you will have something that appears cherished and is a joy to work with. ‘Patina’ or not, they should cut equally well.